Get EXACTLY the stole you dream about, It's easy and even fun to design. It's as simple as 1-2-3! Finally, select your faith symbols (or design one of your own) and their layout for your stole. We're here to help you design a unique, custom made-to-order minister stole that showcases your need for a high-quality, well-made, timeless style stole. We promise extremely high quality standards, skilled craftspeople, and our outstanding customer service people to help you create a stole with YOUR desires in mind. Normal turnaround time is 3 weeks or less. Rush delivery is available (expedited shipping charges may apply. Select one of our Standard Made-To-Order Stoles or, you can Design Your Own Stole. Your choice of 90 (Yes 90!!) different symbols for your stole! Click Here for our Symbol Chart. 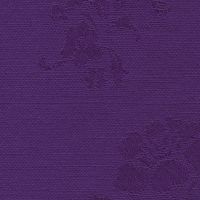 See below for our Fabric options. Choose from three sizes available to match your needs. Small - for the daily needs of Chaplains and Practitioners and others who want a shorter, less formal stole. Medium - Our most popular size. For ministers, pastors, and others whose needs are for ceremonial functions such as weddings, christenings, and celebration of life services. These are of a length comfortably worn over street clothes or robes, whatever the occasion. Large - These stoles are significantly longer and a bit wider - perfect for wearing over robes. They also can feature as many as 13 symbols on the front! Move your mouse over each of the colors to see its name. 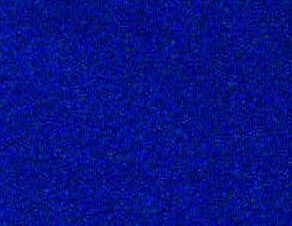 We have done our best to create accurate color representations but every computer is different and if you have any questions, please call us (916-865-9123) to request fabric samples and we'll be happy to send them to you right away. LINING (and Fringe) COLORS -- Typically the embroidery color is selected to match the fringe, but you may select whatever embroidery color you'd like. 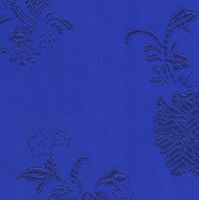 For reversible stoles, you may want to select an embroidery color that matches the brocade on the opposite side. Call us (916-865-9123) and we'll explain! Just received my custom ordered Stole. WOW! I am so blown away and awe-struck. It is beyond expectation. The quality is superb. I couldn't be more delighted to start off my Ministry with this beautiful representation of Oneness. We've been making beautiful custom stoles ever since! Design your own Interfaith Stole. This is the Large size. Its length reaches to about mid-thigh on taller people. I found the Oneness Symbol company has excellent designs, quality fabric and Most important superior customer service. 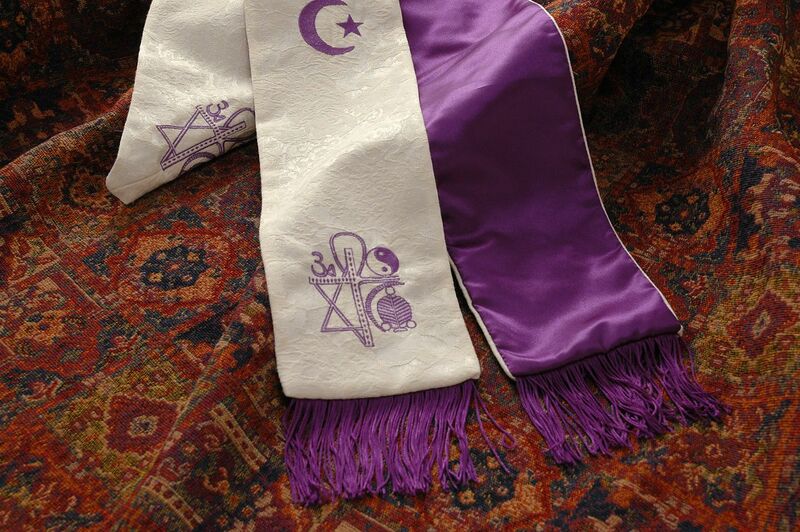 My Organization has purchased numerous Interfaith Stoles for our Seminary. Stephanie worked very closely with me from the design phase; selection of the fabric, thru completion, and the delivery of the Stoles was prompt and timely.